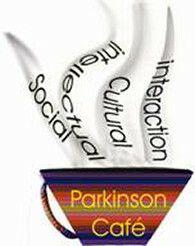 I created the Parkinson Café in 2009 to provide social, cultural and intellectual interaction for people with Parkinson’s disease and their families. My husband Brad was diagnosed with Parkinson’s disease in 2005 when he was in his forties. We attended traditional support groups and educational symposiums sponsored by the local NPF chapter to learn everything we could about Parkinson’s. Brad and I both volunteered to be on the NPF chapter executive committee. In 2008 I started searching for a program to meet Brad’s needs and couldn’t find anything that was right, so I decided to create something new. That’s how the Parkinson Cafe concept was born. By arranging fun events and helping others facing similar challenges, Brad and I became able to feel happy and maintain a positive attitude.